Over the last week news outlets have buzzed with the fallout surrounding the “alleged” racists comments of Clipper’s owner, Donald Sterling. Everyone from former NBA players and coaches to the President have contributed to the discussion. Even non-profits who have benefitted from Sterling’s wealth are weighing in – some returning his donations and others refusing to receive any further money from him. Sterling’s alleged remarks have left some wondering how this sort of thing could still be with us in 2014 after all we know how horrible racism and bigotry are. We have seen how it can lead to violence and that it also shows up in apathy and neglect. 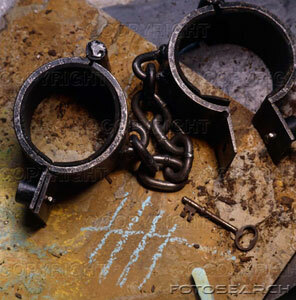 What we may miss, however, is just how captive we may personally be to racism and bigotry. 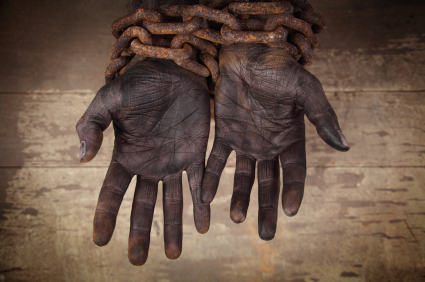 Is it difficult for white people to see how race holds them captive? Is it difficult for you to admit, to acknowledge racism and bigotry in your own life? Here is an exercise that might be beneficial (or perhaps not). If you are white, does it bother you that an African-American in Mississippi said this about white people? Why? If you are African America does it make you feel good that Perkins says this about white people? Why? If you are neither white nor African-American, how does this statement strike you? When was the last time you heard someone say, “I’m not a racist but…?” Who said it? Why did they feel comfortable saying that to you? When was the last time you heard someone say, “I don’t have a problem with gay people but…?” Did it come from your lips? Who said it? Why did they feel comfortable saying that to you? Or why did you feel comfortable saying it? Would you rather not have certain “types” of people for neighbors? (I once had people react because they didn’t like the idea of living next to a pastor and his family). Does race influence where you eat, shop for groceries, drive, live, or send your kids to school? Does it influence where you worship? Last week a man was sharing with me about where his kids would have to go to school if he didn’t send them to private school. He actually said, “it is a little dark over there – if you know what I mean.” Seeing my reaction he quickly followed up with, “I’m not racist but…” as if that would cover him. How would you have reacted? What would you have said? (I’ve wondered why he felt comfortable saying that to me). Perkins is spot on and perhaps the Sterling debacle highlights how race and bigotry continue to hold people captive. Here we are in 2014, we have made all these advances in regards to equality and yet it is still with us. Why? Because racism and bigotry do not live in bans, fines, policies, legislation and even in electing an African-American President. Racism and bigotry live in the fertile soil of the human heart where they are planted, take root, bear fruit and harvested. Perhaps we need to ask what is within our hearts. Perkins could have returned to his bitterness and anger after being beaten. It was certainly an option. It was as much a part of his heart as yours or mine. Instead he went the opposite direction. How? As a Christian, it is the image of “liberty to the captive…those who are oppressed” which captures my imagination, especially as it relates to racism and bigotry. It was Jesus that helped turn Perkins away from the captivity of racism. It was Jesus that transformed his life and heart and keeps transforming it. And yet, as much as I would like to say that racism and bigotry do not exist within a Christian context I can’t without lying. Sunday mornings are often called “the last segregated hour.” Church folk do not always do what Jesus would have them do. Nevertheless, I believe, as Perkins states so well, that Jesus “came to drive a wedge in the status quo and create space where new life can happen.” That is one thing that Jesus does – he pushes against even the hidden places of the human heart – the places where the seeds of racism and bigotry are planted – and brings good things to bear. It starts with something difficult – admitting, at least to God and ourselves – that we simply do not love all cultures and all people. Perhaps when we are ready to admit some things about our hearts, the way we believe and think, then we can look to Jesus – even if you are not a Christian – and see how he interacted with people. Look at where Jesus traveled (Samaria), whom he engaged (prostitutes, tax-collectors, rich, poor, religious and self-righteous). Take a look at Jesus’ life and see how it differs from the way we make decisions about where we go, shop, eat, live, and especially the way we treat other people who are very different from us (Jesus, after all, was very different from the people interacted with). Perhaps Jesus will help us see the ways we are held captive by racism and bigotry. 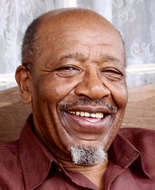 Perhaps he will help us the way he helped John Perkins – who in turn has brought good to bear in so many places. Perhaps Jesus will help you and I to become more aware of the ways that we are held captive to race and bigotry. Marsh, C. and J. Perkins (2009). 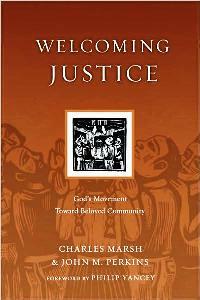 Welcoming justice: God’s Movement Toward Beloved Community. Downers Grove, Ill., IVP Books.